At Invicta Grammar School, the Languages Department is committed to develop students’ linguistic abilities among other skills such as leadership, teamwork and presentation. Each student will study at least one language – French, German or Spanish. Our most able linguists will be offered the opportunity to study a second language in Year 9. Students have 5 Languages lessons a fortnight from Year 7 to 11. Latin Club: run by a qualified teacher; students attending the Club will improve their linguistic and historical knowledge. Mandarin Club: run by a native Mandarin speaker who teaches the students the language and Chinese culture. Russian Club: run by a Russian speaker; students attending Russian Club work towards to get an initiation to the language and the culture. Model United Nation Conference in Geneva: an annual conference where our top French linguists act as translators and experience the life of professional translators in the world of diplomacy. 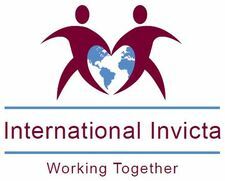 International Culture Festival: an annual event for students, parents and staff to celebrate the vibrant and diverse community within Invicta and the local area. Eurovicta: a EuroVision style annual singing competition for Year 7 students. The French Film and Lectures Club: for students studying French to get a wider understanding of French culture. The German Oxford Competition: an annual nationwide competition organised by the Goethe Institute. Hispanic Day: one day in the school year when we celebrate the Spanish culture. Modern Foreign Language Department Year 5 and 6 Workshops: a series of introductions, throughout the year, to encourage primary school students to discover different languages and their culture. Geography and Languages trip to St Omer, France in Year 7. History and Languages trip to Ypres, Belgium in Year 8. French, German and Spanish exchanges in Years 9 and 10. Hosting students from Hong Kong for all year groups. World School Forum in Year 12. The forum has taken place in Russia, USA, Japan and Italy in past years. United Nations Tri-Lingual Conference in Geneva, Switzerland in Years 12 and 13. 5 country Erasmus + project, which leads to cross curriculum activities and trips to Italy, France, Germany and Turkey. Geography trip to Iceland for A Level students.